This past Saturday morning, I had the pleasure of shooting engagement photos for Texas-born bride-to-be, Toni, and her Peachtree City fiancé, Nick. 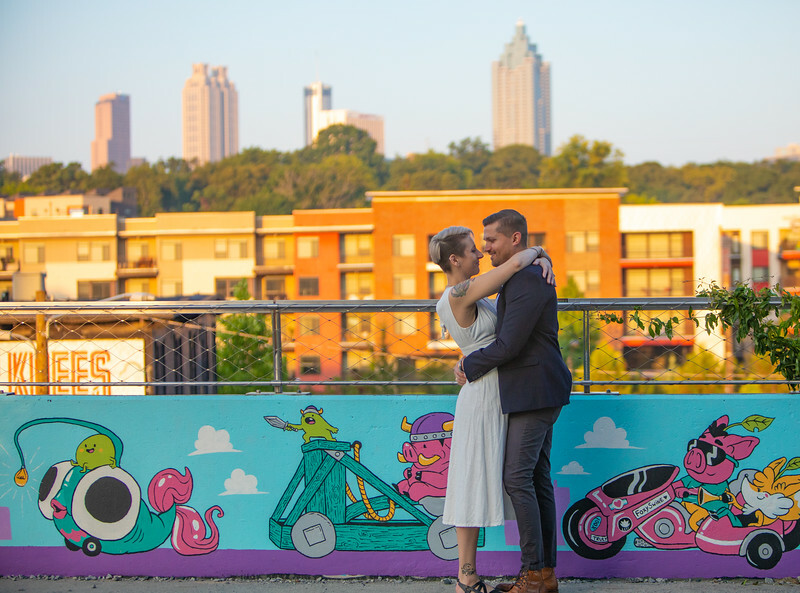 Staying true to Atlanta, I captured snapshots of the happy couple at some of the city’s one-of-a-kind landmarks, including Ponce City Market, the Beltline, Historic Fourth Ward Park and Krog Street Tunnel. The Atlanta wedding photographers at Atlanta Artistic Weddings are looking forward to their wedding at The Conservatory at Waterstone in Acworth .